How do I use a different drive as an installation location for Steam? I recently got an invitation for Steam. I want to download games but my SSD drive which I have Ubuntu will not be enough. How can I install Steam on a different hard drive? Apparently it gives you the option when downloading a game. I have not tried this myself but I don't see any reason it wouldn't be straight forward. But reportedly it only works for games that uses the new content system. 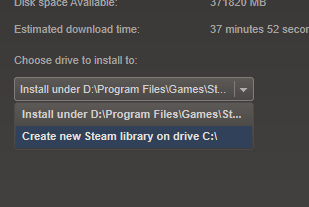 While Steam lets you create multiple libraries, it appears some games can only be installed in the primary library. I suspect this applies to games (eg, those using the Source engine like TF2) with shared content. Using a symlink to move the SteamApps library folder out of the Steam directory causes problems, since some games appear for whatever reason not to follow symlinks. Certainly this TF2 bug is related, but others may also be. (It appears you can do this successfully using a bind mount, but this is unnecessary - see below). Couldn't find Steam content, did you move it? Which will let you select the new Steam directory. Subsequently it will start normally. This worked moving Steam to another ext4 filesystem. I do not know whether this will work if you change the permissions or attempt to use a non-linux filesystem. I have not tried sharing a library directory between Windows and Linux steam. I suspect this would end badly. Moving the Steam directory will usually make SteamGuard require an unlock code the next time you start Steam. 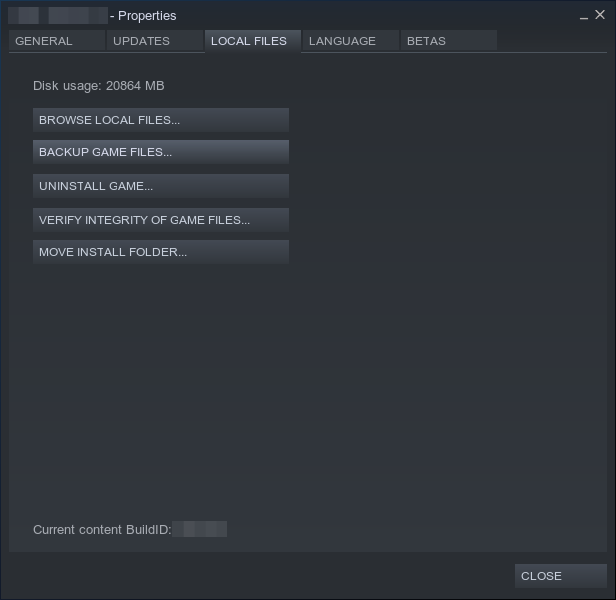 To move a game's installation files from one folder to another, go to "Library", find the game, right-click on it, select "Properties", click the "Local files" tab, and click "Move install folder...". The easiest way is to move your steam home folder to that new drive and create a link for it, as "Steam Library Folders" is relatively new feature and doesn't work with all games. I usually resolve these problems by mounting the default folder to another location. That way it's completely transparent to the application as it just use the normal filesystem (no symlink). You may want to create the new library folder and try manually moving the content. It's best to test this with a single, smaller, game rather than the entire 21GB. For it dosent work. When i instaled first time Steam i could to instal games in another disk space it was all ok, After instalation i turned on games and playing few houers. Next step i had to reset my PC after rebooting there was no games instaled on my steam. What can i do is to install again games on my disk where is the system. I cant change location. It strange becouse games are on my difrent location instaled properly but steam whant to instal them again. Not the answer you're looking for? Browse other questions tagged software-installation steam or ask your own question. How to install CS:GO to a USB? How to install apps to another drive? 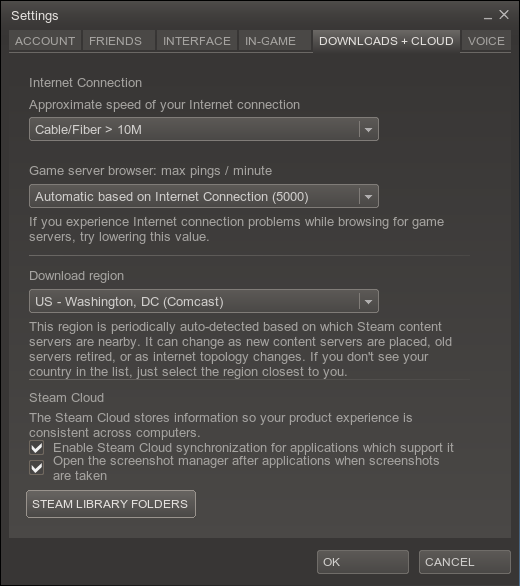 How do I pick where the Software Center will install a package, specifically Steam? How do I install program files on a separate partition? How to backup steam downloads? Is there a way to use an NTFS drive that contains my games and is also external to my installation of steam installed viawinetricks? How to install Steam games to an external hard drive? How to change steam library location to another hard drive?